Millions Recovered for the Injured. Serious Injury Cases, Exclusively. Call Us 24/7. Hablamos Español. Passion. Commitment. Excellence.These three words best describe the driving forces behind Indiana accident attorney Kenneth J. Allen Law Group. 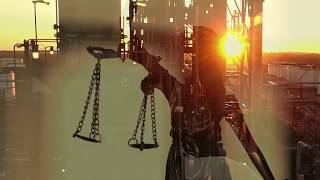 Our firm is devoted exclusively to the practice of Accident and Injury Law, and exclusively to the people - not corporations - seriously hurt or killed in incidents as varied as on-the-job accidents, semi-truck crashes, injuries from a defective product, or loss of life because of a doctor's medical malpractice. Mr. Allen provided me with the best consultation and service, at no charge I might add, with regards to my recent surgery. I would recommend Ken for any injury or accident you have. You will not be disappointed. A competent and classy attorney. Select case type... Airplane Crash Litigation Alternative Dispute Resolution Animal Law Appellate Practice Arbitration Asbestos Litigation Automobile Accidents Automotive Products Liability Aviation Law Black Lung Boating Accidents Class Actions Commercial Law Complex and Multi-District Litigation Construction Accidents Construction Law Dog Bites Drug and Medical Device Litigation Environmental Law Head and Spinal Injuries Health Care Insurance Insurance Bad Faith Litigation Mass Torts Mediation Medical Malpractice Mesothelioma Motorcycle Accidents Negligence Nursing Home Litigation Occupational Safety and Health (OSHA) Personal Injury Premises Liability Products Liability Professional Liability Railroad Accidents Sexual Abuse Slip and Fall Sports Law Torts Toxic Torts Transportation Trucking Accidents Whiplash Workers Compensation Wrongful Death Other Case type is required.